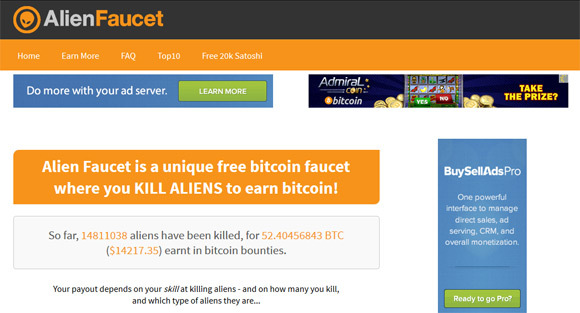 Alien Faucet is a unique free Bitcoin faucet where you kill Aliens to earn Bitcoin every time you request a payout from the faucet. You need to login with your Bitcoin wallet address, but the service also requires an one time name and email address to confirm your login account and to prevent misuse. Your faucet payout depends on your skill at killing aliens – and on how many you kill, and which type of aliens they are… but it is all based on your luck of course. Currently Earth soldiers soldiers are are killing alien invaders every 5 minutes (meaning you can claim every 5 minutes) and the minimum you need to collect is 5500 satoshi before you can request a payout. 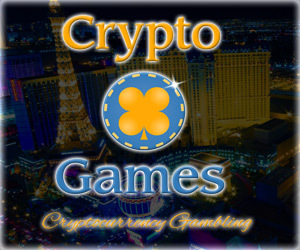 The faucet pays differently based on your luck and what king of alien you manage to kill every time you request a payout, it is a matter of luck with your chances higher for the minimum of 100 satoshi reward and quite slim for the highest reward of 25000 satoshi. 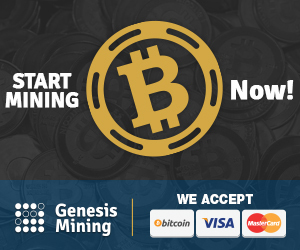 Payouts are automatically executed every Friday directly to your Bitcoin wallet if you have collected at least 5500 satoshi and with the ability to claim every 5 minutes you should be able to collect more than the minimum in no time and much more in a week worth of time. We have managed to earn over 3000 satoshi in about an hour killing aliens at the faucet and getting paid for it, but if you are lucky you might end up making much more in an hour requesting a payout every 5 minutes. You can also earn additional 25% referral commission for the friends you refer to the service that start using it killing aliens and getting paid by the faucet every 5 minutes. The bonus 25% are certainly nice addition to what you earn yourself and your friends also get to earn some satoshi killing aliens.